We welcome guest blogger Dr. Stephen E. Nadeau, Senior Research Advisor, Alliance for the Treatment of Intractable Pain. Dr. Nadeau agreed to share his response to The Oregon Pain Guidance Clinical Advisory Group, Tapering Workgroup*. For more context, the Advisory group recently posted a set of guidelines for tapering opioid doses in patients with chronic nonmalignant pain who have been receiving long-term treatment with opioid analgesics. These recommendations were specifically designed to be utilized by clinicians throughout the state of Oregon and are available HERE. Of note, opioid tapering or abrupt cessation of opioids was covered on paindr.com in a previous post, If you are forced to stop opioids. *The Workgroup and contributors include Jane Ballantyne, Roger Chou, Paul Coelho, Ruben Halperin, Andrew Kolodny, Anna Lembke, Jim Shames, Mark Stephens, and David Tauben. Thank you, Dr. Nadeau, for your patient advocacy and response letter as it appears below. Ballantyne and colleagues, in their recent article, “Tapering – Guidance and Tools” (https://www.oregonpainguidance.org/guideline/tapering/), make the implicit assumption that tapering of opioid regimens in patients with chronic nonmalignant pain is a desirable thing – this, despite the evidence that the cost of chronic pain to American society, based upon health care expenditures and cost of lost productivity, is $560-635 billion/year (1); the evidence from randomized controlled trials employing designs that replicate good clinical practice that opioids are highly effective in the treatment of nonmalignant pain (2-6); the evidence that this beneficial effect can be sustained for years (7-9); and the evidence that the annual case fatality rate associated with chronic opioid treatment of pain is 0.08% with dosage of <200 mg morphine equivalent/day (MMED) (10), 0.25%/year with dosage of >100 MMED (11), and 0.5%/year with dosage >400 MMED (10). The latter two case-fatality rates are quite comparable to the risks of fatal bleeding associated with use of rivaroxaban (0.2%/year) and warfarin (0.5%/year) in the prophylaxis of stroke due to atrial fibrillation (12). Given the extreme impact of chronic pain on a patient’s life, this small risk is likely to be acceptable to nearly all. Ballantyne et al. state “it is widely recognized that prolonged continuous high dose opioid pain treatment is neither effective nor safe for the majority of patients.” “Widely misperceived” would be more accurate, as these claims are not supported by scientific evidence. The authors also seem to suggest that, because the CDC recommended an upper limit of 90 MMED (13), doses above this level must be fraught with unacceptable risk. This CDC recommendation ignores the case-fatality data presented above and it further makes the assumption that “one dose fits all.” Data from randomized controlled trials that have adequately titrated opioid dosage suggest 13-fold variability in dose requirements (2, 4), variability that can be attributed to differences in pain intensity, genetic differences in hepatic metabolism (14), and genetic differences in central nervous system nociceptive signal transduction (15). The authors seem to further justify their tapering recommendations with the statement that “overdose rates continue to be high compared to historical standard.” No question, but it is critical to ask, “Why is this?” Despite draconian reductions in prescription opioid dosage, mortality from prescription opioids has remained static at about 17,000/year since 2012. However, deaths from illicit opioids, overwhelmingly heroin and illicit fentanyl in variable combinations, have risen from 7,000 in 2011 to approximately 30,000 in 2017 (CDC data). Richard Lawhern, PhD, has shown, using state by state data on CDC websites readily available to all, that the correlation between number of opioid prescriptions/100 persons and mortality rate is 0.05. The very idea that constraining prescription opioids in the clinic is somehow going to solve the still- growing crisis in the streets begs credulity. I welcome the authors’ emphasis on balancing the risks of opioid treatment of chronic pain against its benefits. However, a judicious weighing of this balance must also take into account the overwhelming impact of chronic, inadequately-controlled pain on people’s lives. This reality must be fully appreciated, along with inter-individual variability in dose requirements, the modest risks of chronic opioid therapy, even in substantial dosage, and the patient’s vital input on the adequacy of pain control. 4) markedly increase the national resources dedicated to treatment of the opioid use disorder crisis in the streets (16). 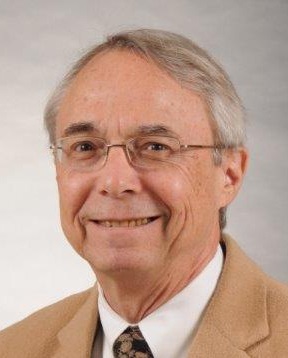 Stephen E. Nadeau, MD is a Professor of Neurology at the University of Florida College of Medicine and Associate Chief of Staff for Research at the Malcom Randall VA Medical Center in Gainesville, FL. He is a neurologist and a cognitive neuroscientist. He has devoted much of his clinical career since 1982 to the care of patients with chronic nonmalignant pain. The contents of this manuscript do not represent the views of the United States Department of Veterans Affairs, the United States Government, or the University of Florida. Research. Washington, DC: National Academies Press; 2011.
placebo-controlled study. Journal of Pain. 2007;8:175-84. 3. Hale ME, Dvergsten C, Gimbel J.
study. Journal of Pain. 2005;6:21-8. Medical Research and Opinion. 2007;23:117-28.
chronic low back pain: a randomized double-blind, placebo-controlled study. patients with moderate-to-severe chronic low back pain. Pain. 2015;156:2458-67.
noncancer pain. Journal of Pain. 2001;2:197-204.
noncancer pain with transdermal therapeutic system-fentanyl. Journal of Pain. among socio-economically disadvantaged patients. Open Medicine. 2011;5:13-22.
atrial fibrillation. New England Journal of Medicine. 2011;365:883-91. 14. Agarwal D, Udoji MA, Trescot A. Genetic testing for opioid pain management. Pain Therapy. 2017;6:93-105.
therapy response for cancer pain. Clinical Cancer Research. 2011;17:4581-97. Thank you, Dr. Nadea for saving lives by encouraging our doctors to treat our inescapable pain. Thank you for being an honorable man and teller of the truth, something the members of PROP and HERC cannot seem to achieve. I admire any doctor who is willing to stand up to the agencies and government who are so clearly using threatening tactics against anyone who opposes their self-motivating point of veiw. That is all it is, a point of veiw with absolutely no medical or scientific proof to back it up. These “Witch Hunter’s” must be stopped. The suicides alone should have been enough to make all these self proclaimed do-gooders stop and reevaluate the harm that forced taperings and patience being cut off medications have been causing. They just keep beating their chest in a bid to claim “Look at me, I’m fixing the opioid epidemic!” When all they are doing is causing tragic deaths, major suffering, rising crime, and in the long run costing more money to state and federal government by forcing people into disability status. At what point will people be able to decide a medical treatment plan between themselves and their doctor again? I’d like to thank all that are trying to disseminate truth. Thank you. Innocent people are being horribly mistreated and I mean mistreated in every sense of the word. TPTB that are conflating addiction with dependance certainly know the difference so the question is; why are they doing this? Are they psychopaths? The reason I ask is that causing people pain and anguish and not caring about it is what psychopaths do. It’s estimated that between one and two percent of the population are bonafide psychopaths so the question is most definitely valid. Bravo, Nicely done Dr. Stephen E. Nadeau! Speaking as an intractable pain patient I have been suffering with intractable pain for the last 17 plus years. Up until the 2016 CDC guidelines were implemented I was receiving adequate pain relief and was able to, engage with family, friends and my community. I was able to and attend church, play with my grandchildren, and make money which allowed me a sense of pride and accomplishment being able to support my home and children,! In addition, I was able to occasionally have a night out with friends! I currently have a list of suicides due to pain of 300 + more in the realm of 400 these individuals took their lives because of the Insidious, constant, never ending, tortuous pain they felt 24 7, 365 days a year every minute of every day! Thank you so much Dr. Nadeau, for all of your hard work, wisdom, and accuracy, in writing on this very important topic! Thank you Dr Nadeau for being a sane voice for patients with intractable pain! How the CDC could throw away all their credibility by choosing PROP members to be their “experts” is beyond me!! Opioid treatment should be on a case by case basis and up to the prescribing doctor who should not feel threatened to lose his/her license in doing so. Being bed ridden should not be the only option for intractable pain victims. That’s inhumane torture when there is medication that can bring relief. The opioid addiction epidemic is being taken to the extreme of neglecting intractable pain victims that need the medication to function. There is a big difference between being drug dependant and a drug addict. Opioids can and should be depensed for those who can truly benefit a somewhat functional quality of life regardless of the dose. I have used opiods since 1999 with mich success for cronic pain issues from an auto accident. My doctors have experience in pain medication and I trust them. Like others have said If a doctor dont want to perscribe them he dont have to leave it to the pain experts then. But please do not take our needed meds awsy. We do not abuse ours. We have to give urine specimines to get these meds,sign contracts,no alchohol. Theres rules. We dont just get a free ride to get them. If we dont follow we get kicked off our meds. GL finding another doc. Thats how WI works. The goverment has no right stepping in. Go after the ppl on the street where the abuse is really happening. I am a neurologist and read this article carefully and I appreciate Dr. Nadeau’s accuracy and true evidence based analysis of this important topic. Long term opioid treatment in some patients with chronic pain is quite helpful . The cdc guidelines are very misleading and have done much harm to patients for whom there is little other effective therapy available. I for one have used opioids for over three decades with much relief and few negative side effects. I think that there are many thousands of others who have done the same. We have all been hurt by PROP and their agenda. If those drs don’t want to prescribe opioid meds to their patients fine. Don’t force your opinions or religion on others. Allow drs who have demonstrated they can successfully do this and help patients to continue to do so. Having known several people who have been on suboxone and quit I don’t understand drs like Kolodny who push this on people and chastise drs who help chronic pain patients with opioids. Seems very hypocritical to me. Cary, I just wanted to add that I too have been treated with opioids long term- for almost 2 decades with minimal side-effects, and no complications or hospitalizations. I know that some may say I’m ‘just’ an anecdote but that doesn’t mean what I say isn’t true for me. I feel horrible for the chronically ill in Oregon. Having your own state try to KILL/MURDER you is beyond me. It seems our entire country is systematically destroying Pain Management by these Guidelines. Supposed “voluntary” with an unbelievable propaganda campaign of hysteria somehow managed to be pushed into law by Gov’t agencies In addition to being weaponized by DEA. I’m in CA and barely made it out alive after being forced tapered down to 1/3rd my dose after 10 years of PM. It almost destroyed a wonderful patient-centered relationship I had with my PMDr of 10 years. I laid in bed for nearly one year (I cried almost everyday) I tried to quit because monthly visits of $200 for 20 mg of hydrocodone was expensive and I thought I could live without it. During that time I tried everything I could think of to manage the pain: Tons of supplements, TENS, massage therapy (expensive), cannibis, CBD, creams, heating pads, ice, anti-depressants, Lyrica, daily, hot baths. I exercised when I was well enough to walk. I was just existing. My friends and family started getting upset with me for missing events I was invited to. I had always been involved in everything especially my sons school. I could no longer get out of bed to get dressed to volunteer. I missed a whole year of his life – bedridden. My husband would say, “let’s go to the ER” after days of crying from the stenosis pain and the vomiting from the migraines. But I knew there was a 50% chance the ER would NOT help me. I was so fearful that I’d be labeled “drug seeker” for being in unbearable pain, although I’ve never been to the ER. I was completely distressed destabilized, paranoid + suicidal. Hell on earth. I ended up paying out of pocket $1200 for a current MRI since Aetna denied prior-authorization. Considering they paid many years of chiropractic and pain management – yet still denied me. I took the new MRI back to my PMDr and begged him to help me. Thank god, the MRI clearly showed my disability and he put me back on what I was stable on for years prior. I am one of the lucky ones. But that year of my life will be a blur of trauma. I’ll be forever changed by this experience. I’ve lost all faith in the land of the free – that almost killed me. This is a well researched opinion piece by a practitioner who understands all sides of this issue. It’s frightening to me as a person with chronic pain from fibromyalgia that non pain experts are writing policy that will affect not only my life, but that of thousands of others. Let’s be very clear, there’s no evidence to support removing stable patients from pain management treatment that works for them. These are not the patients that are dying in droves from heroin overdoses! This is not where changes need to be made. Reducing and eliminating effective treatment modalities for injuries by swinging the pendulum fully to zero opioids for anyone except cancer patients is not the answer. Our current for profit system is at fault. It prevents doctors from spending the time to know their patients well enough to assess abuse risks. The insurance companies won’t pay for the follow up care necessary to properly dispense opioids. This should’ve been the question and answer addressed by this pain committee, “how can we ensure that those prescribed opioids do not go one to develop addictions. If I were cut off from my pain management protocol I would lose all quality of life. I would no longer be able to do the meeger amount I do now. Please stop punishing the pain. So very grateful here in Oregon for this eloquent piece. Oregon Pain Guidance, has been given powerful liberties in areas of health care policy creation in Oregon. It is dangerous, not only with the positions they have inflitrated but seeing how this is allowed, even welcomed in this state. As it stands now, OPG is heavily involved with advising The Oregon Health Authority, The Governor’s opioid epidemic task force, The Oregon Pain Management Commission and numerious yearly health summits with addiction focused care disguised as “pain care”. Lines for Life (a suicide and addiction prevention non profit, and CEO Dwight Holton) it’s sibling group Oregon Coalition for Responsible Use of Meds (OrCRM)- a service of lines for life, and Oregon Pain Guidance work as one strong entity in Oregon. Oregon Pain Guidance was originally called, Opioid Prescribers Group. As Andrea explained, they focus on media, summits and a strong web page that appears as official state policy, when in fact they are PROP drafters who have managed to invade all levels of Oregon Pain policy. Thank you for your hard work. How come these people who do not suffer from chronic pain or any of their family or friends suffer from chronic pain, yet want to inflict more pain on chronic pain patients. They continue to ignore the real crisis. The illegal drugs, heroin and Fentanyl. They are the killer’s. Thank god for my husband!…he got me the help i need….n…its costing us ALOT! !…..im very greatful to have the best caring…compassionate dr.s here…in AZ!…. and she received 1000’s!!!!! !…of $$$! that she used her sons death to profit on it….its awful!!!!….. Hello. Sorry for all what happened to u! May I ask where in Arizona did u move too? Thank you for this. It’s truly crucial information. Yes Dr Nadeau once again tx for yur science based evidence which validates the need 4 these pts to have a quality of life using opiates in their toolbox! I am a Lupus patient. I was not tapered from my pain meds. I was cut off cold turkey. I cant tell you what this did to me. After 18nmonths I wanted to kill myself. I finally went out of state seeking medical treatment. I couldnt take it anymore. I fail to understand the logic of taking a patient who is stable on a medication and forcing them to “taper” off of it. The overwhelming majority of patients well treated with these medications are not and never will be addicted to them. We as pain patients cause no harm to others – we can live productive lives. There’s never been a credible answer to “why.” The Oregon proposal is barbaric and extremely harmful. If pursued, these recommendations will result in extreme harm. I use many kinds of treatment for my pain – chiropractic, physical therapy, acupuncture and massage. They all help a little bit. None of them allow me to work and live independently as does hydrocodone taken as prescribed. And none help with pain that exceeds a 5-6 on the pain scale. Every Body is different. Let us live. This is a great article, finally someone speaks are on behalf. This is happening nationwide. All states. Please also help by attending or participating in a National Rally happening in most states, January 29, between 10a-2p depending on time zone. See details at DontPunishPain.com/Rally or Facebook. See you all there to continue on helping to turn things around for all pain patients! As an Oregonian and a primary headache patient advocate meeting with Senators Wyden/Merkley and Representative DeFazio annually since 2012, I know several Bill’s including the CARA act (now a half measure), the OpioodsandStopPain act and now the HEAL act all include language authorizing the appropriation of NIH funds to research PAIN and PAIN TREATMENTS. Also in 2012 The HELP committee held a congressional hearing titled *Pain in America*.Testimony after testimony acknowledged PAIN, and PAIN treatment modalities are grossly underfunded. The NIH must make pain research a priority. There have been many common sense opportunities for this country and the State of Oregon to responsibly reduce our reliance upon opioids WITHOUT harming Chronic Pain Patients in the process. Thank you for your thoughtful response to Oregon Pain Guidance Clinical Advisory Group, Tapering Workgroup. This has gotten far out of hand. I underwent an operation and was only given 15 Norco. I rolled around in AGONY wondering why they did this to me. My spouse had left to fly home, and I was left by myself, with no pain relief. I came close to ending my life. What was done to me and the other chronic pain patients is barbaric. My daughter works for the Medical Examiner’s office and she told me the deaths that she investigated were from illegal drugs coming in from Mexico, not prescriptions. The politicians are looking for a scapegoat for their own failures to secure the border. Thank you for your voice. This is so critical. I watched my husband die in pain and watch my two kids struggle daily with pain caused by the same disease my husband had. They deserve access to care. sense in their treatment of pain patients. Keep up the excellent work. I am a chronic pain patient with multiple conditions with no cure. I have had 3 brain surgeries and 2 spine surgeries and CSF Leaks. I work full time due to opioid prescription pain meds. As I watch Oregon an the decisions being made, I know you have lost your focus. By bringing pain patients to no pain relief you will cause more suffering and deaths. You will lose productive citizens. All while the illegal drugs have been ignored as the true cause to the deaths. We need a total restoration of rights to pain patients and doctors. Please restore the dr/patient relationship. Think of the devastation Oregon will have. Pain patients will suffer. This alone causes additional health problems. If they look for alternative pain relief, that could mean over the counter meds. Overdosing on those meds will cause additional, permanent health problems and possible over doses. They may try illegal drugs and death tolls will go higher. And the other option is suicide. Of course, your state will have a massive doctor shortage to be felt for decades. Doctors want to treat their patients as they were educated to do. You are not allowing doctors to be doctors. How frustrating for them. I suggest you take a big step back and really think about what you are doing now and what your state will deal with for decades. Thank you for sharing your story, it is so much like mine. I am in TENNESSEE and this State us horrible and our Doctor’s and Pharmacies are making pain Patient’s suffer from incurable chronic unmanaged pain and it is beyond words. I pray this country changes everything and gets back to allowing Doctors to treat patients with Incurable Chronic Unmanaged Pain soon before we lose more souls in this war against pain Patient’s, because I am suffering in TENNESSEE. Thank you for verbalizing what us as chronic pain patients know to be true. In my case, I have a spinal fusion from T2-L2, and an anterior cervical fusion from C3-C6 and an anterior fusion from T10-L4. I have chronic pain and anxiety (among other diagnosis that have less impact on my life) Those two diagnosis go hand-in-hand. But in 2018 I was forced to choose anxiety meds or tramadol. So I chose the anxiety meds and am forced to go outside a doctor for pain relief (recreational/medical mj). I chose the anxiety med because of this: chronic pain has the ability to make me suicidal, but high anxiety makes.me lash out at people and want to pull my hair out of my head, so I chose the anxiety meds for “your protection,” because at this point no one cares is we off ourselves to get out of pain. If I have high pain, I know that I wont be able to find relief in emergency room. When I was experincing neck pain, 6 before the surgery, (in 2011) I went to the ER to find out why it felt like I was being stabbed repeatedly in the neck. (I had not been rx’d pain.meds in six months, and had not been in an emergency room for years before this) I never asked for.meds, I asked for help. I was denied care as the ER doctor said “I’m not going to give you an xray just because you want one and I’m not giving you pain meds” Since being diagnosed with scoliosis at 12, I had never been treated like that. This experience gave me further what I call “doctor PTSD.” I suffered six years until I couldn’t hold things with out dropping them and went to neurologist, who scheduled me for surgery less than month after.my visit with him. I now live in an “America” where I can’t get help for chronic pain and am treated like a leper. As a chronic pain patient in Hawaii, it was wonderful to see yet another doctor refute the tapering, dosage limits and other well researched restrictions the OPG holds. This needed addition to the mounds of evidence is much appreciated Dr. Nadeau. Mahalo! Excellent response. It’s about time doctors are allowed to keep their oath to do no harm. Allowing continued suffering without relief from pain when there are medications proven to help is not in keeping with that vow. I send my heartfelt thanks to all the bold, compassionate doctors who stand up in support of those suffering greatly due to non-cancer chronic pain. This includes those with my genetic disorder, Ehlers Danlos Syndrome, which Dr. Forest Tennant has placed in his top four of most painful conditions. It is genetic, there is no cure, and pain is expected to only worsen. It is cruelty to forcibly taper a patient who had been successfully stabilized, who’s heart problems had finally gone away because they had been due to unmanaged pain. Thank you so much for all you are doing for chronic pain patients! It’s beyond me why they are promoting all this miss information. Without my prescription, I would not be walking, with it I work full time, an manage my home an family! Why in God’s name would anyone want to take that away because there are drug abusers out there ! Please make them hear our cry’s for help ! We didn’t do anything wrong, punish the abusers not chronic pain patients! We would think it ludicrous if the gvt or media suddenly began targeting diabetics and coercing physicians to “taper” their daily intake of insulin based on a “one-size-fits-all” protocol due to non-diabetics illegally accessing insulin. There’s a very simple way to verify the authenticity of a chronic pain patient’s pain medication requirements, which is, their quality of life. If a person is legally prescribed an adequate dosage of opioid medication based on their medical records and their quality of life is enhanced, enabling them to complete activities of daily living, it is obvious that their condition is legitimate. If they are bedridden, housebound, unable to function due to constant pain, then the dosage of their medication, or the medication itself, is inadequate or inappropriate. If the side effects of alternative therapies cause serious problems or don’t work, it is the wrong medication for that person. If a person’s quality of life deteriorates and/or if their only goal is to experience euphoria and they have no medical diagnosis to support the use of opioids, then they need to be enrolled in a rehabilitation program; obviously if they are motivated to do so. To deny or reduce legitimate chronic pain sufferers due to the fact that their medication is being illegally procured for recreational purposes by those not suffering chronic pain or to assume that a person is “addicted” to opioids when the decision has been made by a pain management specialist with specific medical training in that specialty defies common sense and suggests an alternate agenda. No one in their right mind would accuse a patient legitimately prescribed long term blood pressure or cholesterol medication of being “addicted” to it or a ‘drug seeker’. The CDC has made an egregious error and the so-called “Guidelines” need to be revised, particularly for patients on long-term opioid therapy, plus any laws based on this travesty of sloppy research and skewed statistics scrapped and replaced by regulations based on sound theory and legitimate investigation. Thank you so much for the work you do for chronic pain patients! I’ve been one for over 20 years, with an Arnold Chiara Malformation, pseudotumor cerebrii, panhypopituitarism and many more diagnoses, including over 30 surgeries, most of them pertaining to the CNS. I was unable to continue working as a RN 20 years ago but was still able to enjoy volunteer work and take care of myself and my family while taking adequate pain medicine. In 2016, I was taken off meds without my approval because I forgot when I took the last prn pain med and it wasn’t in my drug screen, even though I had well documented memory loss from so much general anesthesia. I became a flagged patient and every pain doctor I reached out to, refused to even see me. I became desperate for pain relief and tried a chiropractor and I believe that he broke off my atrial-venticular shunt, when he snapped my neck. It coiled up in my right atrium and developed a huge associated clot and calcified the SVC and right atrium and caused severe damage to the tricuspid valve. I went to the ER multiple times with shortness of breath and chest pain and was told it was”in my head” (my chart was flagged) and sent home. Fortunately, I had enough sense to reach out to Mayo clinic and I had life-saving open heart surgery immediately to remove this. I was throwing PEs and the doctors couldn’t believe I survived this. They had removed over 13 inches of shunt tubing from the right atrium. If that all wasn’t bad enough, I suffered a whiplash injury when someone rear-ended me and have had excruciating daily headaches 24/7. My adrenals burnt out, I live in the recliner with my head packed in ice. I’m unable to care for myself anymore, and the quality of my life is non-existent. I’m in chronic kidney failure from being prescribed too much ibuprofen for too long. My blood pressure gets dangerously high with severe pain and I’m praying I don’t have a stroke as I’m on blood thinners for a clotting disorder. I am not well enough to undergo another open heart surgery. I don’t see an end to this suffering and am losing hope to have any quality of life again. I sincerely hope that this issue will get better soon. I pray that God will bless your work and that regulations will change before it negativily affects more chronic pain patients. Oregon doctors need to end their practice of not providing help for chronic pain patients. They also need to find alternatives to patients allergic to every other pain control except opioid. My story begins in 2000 with a herniated disc at C4/C5 level, which was repaired with a fusion. In 2003 I was caged from my C4-T1 to avoid further degeneration of my spine. I did very well with no pain medication through 2013 at which time I was hit by a teenager texting and driving. My C5 which was already plated and screwed in was compromised. I have not been able to afford insurance since Obamacare due to my conditions and I had to rely on the VA for treatment after my accident. I was treated like a “drug seeker” by the VA and they refused to treat my pain or have any sense of urgency in my accident. I waited 9 months to be fee based out for surgery to fix my C5. When I came out of surgery, I was never the same. I had suffered irreversible nerve damage and the damage was severe. At that time, I was diagnosed with Degenerate Disc Disease, Sciatica, Cervical Stenosis and Cervical Neuropathy. All are chronic and all are not able to be reversed. This was the beginning of a very painful journey as my life has been a series of failed attempts to see adequate care. Fast forward to 2016. I paid out of pocket for my PCP to maintain my pain so I could continue to work. The VA refused to treat my pain unless I enlisted the help of senators and even than the case would be closed a month later. I needed consistent help. I did well with my PCP but in November of 2017, my Cervical Stenosis started to progress along with my pain. By May 7th, I was bedridden. The smallest movement was excruciating. Every ounce of my being was consumed in agony. I was told by my PCP that due to EO 17-18 from Eric Greitens, he was unable to give me progressive treatment for pain & that I needed to be seen by a pain management doctor. I could not afford a pain management specialist at the time and eventually lost everything while suffering. I finally filed for Medicaid & was awarded in May and immediately sought out a pain management doctor. The process has changed drastically since 2013. No longer is a referral sent over from your PCP. Now, the patient needs to gather ALL pain medical records, bring to the PCP to scan in and than they start referring their patient. If you have been to numerous doctors due to your illness, this a huge task especially when you are sick. When my records were finally all together & forwarded, I was denied, denied, denied. At the same time, my health was deteriorating quickly. The doctors offices receiving my files would not tell me why I was denied and most times just ignored me completely. Finally in September, my PCP reached out to my current pain management doctor and begged him to see me because I was a good patient and he did not understand why I was being denied. My PCP is one of a kind, most if not all doctors will not do this. He was desperate to help me. The pain management doctor saw me, accepted me and than informed me I had been flagged by the PDMP as a possible pharmacy shopper. When he took me through the website, I saw my surgeon who operated on me in August 2018 for blood clots. I also suffered two mini strokes or TIA’s. I tried to move last spring in order to stay with friends west of the city while I go through this. However, that proved to be to difficult to reestablish myself with doctors and returned. And now, I was flagged just trying to deal with my progressive illness in bold red letters “POSSIBLE PHARMACY SHOPPER.” Totally inaccurate and the issues I faced, MANY patients face while dealing with illness only now, they flag you and make finding doctors impossible. The PDMP almost killed me…. I am a good pain patient. I am drug tested monthly as well as tested for levels in my body. I DO EVERYTHING I AM TOLD TO DO. My doctor is amazing but even his hands are tied in treating me fully. He is forced to try new alternative medicines (Which do not work) before putting me on what does work. What a waste of tax payers dollars. I lost my job, my home, my life through all of this. I am slowly getting back up but the damage that has been done due to inadequate treatment is irreversible. I will never be the same again. While my diseases progress, my pain management is still minimal due to the new guidelines. And now my life is minimal. I am no longer reliable for anyone. I am trying to work part time and even that is difficult. Hard to find work when you never know from day to day how your are going to manage. The government intrusion into my life has destroyed my life. I can no longer ask for additional help for fear of being flagged as an addict. If I am having a bad day, week, month, I can no longer call in for additional help but just left to suffer. Even if my doctor did help, the pharmacy or insurance company would stop the help. So why ask? I have reached out repeatedly to the Governors office, state representatives, local media stations, anyone who would listen to ask for our side to be told but my requests have fallen on deaf ears. The media continues to blame our doctors and us who suffer for this so called crisis which WE are the innocent patients lost in the masses. I have contemplated suicide three times this past year. That is something I NEVER would have thought about before all the restrictions being put in place, the pharmacy policing and insurance companies denying. We used to have our scripts in hand and we were done. Now, we have to jump through hoops to include insurance permission and pharmacy filling the script! At any of these roadblocks we could be denied and we go down. Prior to May 2018, I worked full time, had a nice home, a social life, a lovely family life and much joy. Now, I am dependent on the government for rent, food and insurance with no hope. I filed for disability and have 20 more months to wait on that decision. I am in bed 85 percent of the time and unable to do the simplest of household duties without severe set backs and no additional medications to get back up quicker. Randall Williams from DHSS negated to answer my questions about my flag from the PDMP and than blocked me. Emily (Supervisor at the South County St. Louis PDMP) acknowledged that the PDMP is very flawed yet they are working on correcting it but nothing is being done now. Even is it hurts us? Yes, even if it causes harm to patients, like me. That is unbelievable to hear. There is a huge disconnect between ALL the agencies implementing the new laws and the reality of how it is affecting Chronic Pain Patients and our doctors. They seem to be in a bubble and are ignorant to the reality of pain management. It is causing devastating harm to Chronic Pain patients. Why is the government even involved and questioning actions of physicians who are simply trying to help chronic pain patients? I think this manufactured “opioid crisis” is targeting the wrong group of people. Pain patients typically adhere to their prescribed doses and don’t overdose unlike those addicts who are only out for the “high”. Pain Patients are unfairly targeted and now must endure additional suffering. Dr.Nadeau, thanks so very much for your efforts to help those in pain. Many have been deserted and left with little to no quality of life. It is really unbelievable that a State that offers assisted suicide to alleviate suffering would deny the medications necessary that allow those with debilitating pain to LIVE. These draconian measures that strip away our physicians ability to treat patients as they see fit are unacceptable. Thank you again for stating the facts in such a clear way. Those with an obvious conflict of interest and no clinical experience in pain management have no business creating policy. This is another wonderful article from Dr Fudin, thank you! I am appalled that so few realize how discriminatory and harmful the Oregon forced tapers are. It seems so many people think it won’t happen to them; but if even with so many experts telling them how wrong this is they continue, it will leek into every other state and become the norm. This has to stop. HHS, HRW, AMA, and even a workgroup inside the CDC says that it was always illict drugs and that limiting or forcing patients from pain medications was wrong from the start. It seems those with the most radical thinking have either ignored these important experts and agencies or thought that by doubling down on one policy that all the rest of the world will jump on board? I do not understand their logic in any way! As a person born with a genetic connective tissue disorder called EDS, I find that there are too many ouside sources trying to dictate how a doctor treats their patient as it concerns pain. Outside sources should be used as tool on a case by case basis. My disorder is not the same as someone who goes in for surgery and needs pain management for a brief period. I have a lifelong progressive disorder that will need higher levels of pain meds as time goes on. It scares me to think that outside agencies get to decide how my doctor treats my pain! So PLEASE allow doctors to use guidelines on a case per case basis since there are so many variables concerning a pain patient’s needs. What does ILLICIT USE have to do with those successfully using opiates from a Doctor for Incurable Severe Pain? Opiates do not addict, never did, …they can only trigger it in the rare susceptible individuals. What a nightmare for CPPs. Thank you for a fantastic article! What they are trying to do to Oregon pain patients is inhumane and has no medical or scientific basis. Patient care should always be patient-centered weighing risks vs. benefits. The risks of opioids for chronic pain patients are minimal compared to the stress that chronic pain puts on the body. They are not for everyone but for some, they are a life saver. People who refuse to realize the medicinal benefits of opioids are living in an alternate universe completely based on fiction and extremist propaganda. We cannot let fiction dictate policy. Thank you Dr. Fudin for your excellent blog and for publishing Dr. Nadeau’s phenomenal article. We are so thankful for the professionals conducting real research and who are willing to speak out for pain patients. Who would think that it would only take a decade or so for a fairly small group of Univ of WA doctors (at least four now members of PROP) to cause so much more damage to the most medically fragile citizens in our country by passing the first laws in WA state, which led to the CDC guidelines? Some of these same ‘doctors’ are n. ow pushing their agenda in Oregon. I sincerely thank you for sharing this. I wish there was a way to make it go mainstream so that the general populace could see the truth of it. As a chronic pain sufferer, i would not be able to work, afford my family’s health insurance, pay my bills, try to spend quality time with my family, or have any quality of life if it were not for my opioid medication. There are so many of us who need it just to even get out of bed, much less work. The CDC and government has NO business telling our doctors what they can and cannot do to assist their patients. They went to school and took an oath to aid and not harm. These regulations are causing them to go against that oath for fear of losing their jobs or being charged with a crime. If someone is maintaining their chronic pain via opiods without abuse or danger to themselves or others I see no reason to wean them. What about continuity of care? What percent of these patients actually are the people who are overdosing on opiods? Thank you for supporting chronic pain patients and their right to pain relief. I am a pain patient with chronic migraines, fibromyalgia, Crohn’s and myofascial pain syndrome. I am having an impossible time trying to find a doctor willing to even see me. Things need to change. No one should have to live like this. I appreciate Dr. Nadeau’s reasoned approach. The other misinformation out there has caused knee-jerk reactions in the legal and medical community that has very sad consequences on very real people. Thank you for standing up for real medicine. I’m a chronic pain patient in Oklahoma where they too are making these guidelines the “rule”. I suffered a back injury at work in 2011. It took until 2014 (and numerous doctors) to find the actual problem. I had grade 5 tears in my discs L4-L5 and L5-S1. I had them removed, replaced with plastic spacers and both levels fused. Pain was still high. Then I found out that I had permanent nerve damage from the waist down and got a spinal cord stimulator. I also got diagnosed with fibromyalgia, which I thought at the time was a crock. Now I know different. Even with the stimulator my pain is still very high. About 5 months ago I got a medication regimen that actually allowed me to function. Pain wasn’t home but doable. Then our governor signed into some kind of legislation that followed the CDC guidelines. I was taking care of my 3 grandkids that were going through DHS. In December I went to my monthly pain management appointment and said I was at 130 MME and we had to cut 20mg and then the next month another 20mg. I told him I had to be able to take care of those babies (7month, 2yr, and 3yr). He promised me that we would not make it so I couldn’t. Well a week into this I could no longer pick up the baby, keep up with housework, prepare dinner etc. This is ridiculous. I was at a good level for the first time in 7 years. And now I’m reduced back to being a person that lives in my recliner. They need to just let doctors be doctors and keep it between dr and patient. I’m so fed up. I have to convince myself everyday that my family needs me, just to keep me alive. I have a right to quality of life but no one cares. The task force is playing doctor without seeing the patient. The task force should be made up all doctors who know about the medical conditions from which we suffer. If they are not MD s who understand the complexity of pain they most assuredly will cause harm to patients they dont know exist. I feel like they feel they must single out a few people/medical conditions like Fibromyalgia for example so that they feel as though they have accomplished something. If they single out anyone or medical conditions they will be doing harm to someone. It’s hard enough to find a doctor who will treat pain for someone who legitimately needs pain medication this will destroy someones life. They will do harm to someone. They have already caused people stress, anxiety and fear. I only recently stumbled upon knowing that there was a task force and did not get to voice my opinion..
My pain management dr died after 9 months methadone treatment after 15 years different pain meds..it had been making my throat swell and had had cut down to 20 m a day..when he died i was so sick of clinics. Hospitals, pharmacies i just cold turkied..threw 50 in the sink..i was so sick i was desperate for relief so tried some cannabis which dr supported..didnt kill pain though so tried kratom..told my gp about it..always honest with dr..but this essentially black balled me from future pain treatment..no one would even prescribe a measly vicodin which had used for 10 years..new dr at clinic threw me out over dirty ua for cannabis even after cdc advised to stop testing for it..it was my first dirty ua..thrown out. I thought I might try subutex..i have thoracic stenosis, lumbar stenosis, ddd. Spurs. Annulus tears..one bone causing undention in spinal cord..verified by 2 mri’s..now i cannot get pain treatment..and notbwilling to risk arachroditus(?) From spinal injections..i have tried aqua therapy. Pt. Chiro. Inversion table. Muscle relaxers, arthritis meds, pysche meds..the hospital i had mri’s done at has a big sign in wall ” no controlled substances of any kind”..all my treatment was from their and another hospital and pain management..so been using kratom daily for some kind of life and smoking marlboro 100’s till thevend and askung GOD for forgiveness..i used to run my own website. Photography page and care for mother with alzheimers..now..just too much without adhd and chronic fatigue meds which lost because of cannabis ua..its disgusting whats happening to chronic pain patients..i have contacted white house. Senator, representative in effort to speak up for us..GOD BLESS US ALL IN THIS PERSECUTION BY THE UNINFORMED JUDGEMENTAL PREJUDICE BECAUSE OF UNCURABLE PAIN CONDITIONS. Thank you so much for stating facts. I find it sad that people will lie and spread falsehoods for the gain of money. I have been an intractable pain patient for over a decade. I tried so many alternatives that didn’t do anything for my pain~PT, Biofeedback, surgeries, steroid and cortisone injections, nerve and facet blocks, Cognitive Behavioral Counseling, meditation, tens unit. It wasn’t until I tried ending my life, ending up in a coma for 3 days, that my doctor believed me about my pain, I started opiate therapy at a pain clinic. It has been the only thing that gives me relief. I have now been weaned and am terrified at the thought of having them all taken away. I know I can’t live with the pain and I will never go to the street looking for illicit drugs. I also will never take the Suboxone they are pushing. Which is why are they trying to lump us all into the addiction category. I hear it’s harder to wean off of than heroin. Greed over humanity is what is happening here. I find it incredibly ironic that Oregon has always prided itself on being a state that respected the inherent rights of the individual; so much so that it made history with it’s death with dignity provisions. Now, the same state that allows for suffering patients to choose to end their lives with a hefty dose of barbiturates is seeking to actively deny the rights of thousands of equally suffering patients the right to access life saving opioid pain medication. This is beyond counterintuitive, and horrific public policy that will end up costing the state millions in litigation, but it borders on the bizarre. There is no evidence to support the efficacy of forced opioid tapers or evidence that doing so would reduce harm. If anything it will accomplish the opposite, which begs the question, what are the real motives behind these radical, sweeping and inhumane proposals? Thank you for the well enunciated article and for lobbying on behalf of common sense, compassion and the sanctity of the doctor patient relationship. Thank you for this well researched publication. I have lived with pain for 40+ years. My pain is a common symptom of multiple sclerosis and Ehlers Danlos. My pain is severe enough that I have tried every pain medication and neuropathic pain that is on the market and many hours of physical therapy but nothing could blunt the pain enough so that I could sleep for more than two hours at a time. Since I am non responsive to opiates, I used large quantities (up to 3000mg/day of Advil) of NSAIDs such as aspirin and ibuprophen (Advil). I took NSAIDs for too many years and it permanently damaged my kidneys. I am at Stage II kidney failure. To avoid weekly trips to the dialysis unit I stopped taking NSAIDs and was given morphine. Unfortunately even moderately high dosages of morphine do not touch the pain and I was forced to live in a state of sleep deprivation every day. My only options were to take NSAIDs knowing that I was again damaging my kidneys or suicide. Fortunately a drug named tapentadol (Nucynta) had been cleared by the FDA for the treatment of pain. It was the first time in decades that I experienced a decrease in my pain. Though the manufacturer’s claims of efficacy and duration are overstated, it is enough that I can sleep uninterrupted for 4 to 8 hours a night. Somewhere between the scientific community and my physicians some ignorant and misinformed people forced their way into the conversation pertaining to the use of opioids. It looks like the pharmaceutical industry is grooming us to accept the huge profits from one or more new pain medications but it happened many decades ago. At that time the pharmaceutical industry wanted to sell a synthetic pain medication and conducted a nationwide campaign to stop physicians to stop prescribing opiates such as morphine and shift to a new synthetic drug they wanted to push. Same thing is happening today. The drug companies are seeking to shift the use of morphine and the old pain meds that they cooked up 30 years ago to a new/different synthetic analgesic that they can sell for $1000 to $2000 a month. I understand the problem we as a nation face when thousands of young people die each month from opiates but someone at the FDA and CDC is lying about the real reason why. It is unconscionable for the political hacks to exploit this tragic loss of life and not provide an alternative solution for those of us who are struggling with pain every. Even though Nucynta has no extra pyramidal effects it is classified as a Class II opioid. As one person said; “They took all the fun out of the drug.” But it does at least blunt my pain enough so that I can often sleep for up to 6 if not 8 hours each night. Problem is that I and many others are being treated as common street junkies and being forced to seek relief from very real pain through suicide. Please accept my sincere thank you for speaking up for chronic pain patients. Being forced to not only have to agree to drug testing, signing contracts which offer us zero protection but can allow our doctors to “fire” us at anytime and leave us with zero recourse even if we do not agree with the implied or stated wrong doing but also has made it nearly impossible as well to find a doctor willing to treat us.. I pray daily that the needed corrections are made now so that we may have at least a small quality of life again. Again thank you for being one to stand up and speak out about the misinformation being put out there that continues to severely harm us. “[T]he implicit assumption that tapering of opioid regimens in patients with chronic nonmalignant pain is a desirable thing”… any generalization about chronic nonmalignant pain is by definition scientifically inaccurate, as the label “chronic nonmalignant pain” includes an incredible array of different conditions and variants, from common to extremely rare, annoying to incapacitating. “Less medication is better” is an ableist assumption, like saying “walking is better” to someone with quadriplegia. DR Nadeau my sincerest tx 4 writing on chronic pain & how we need all options on the table including medical Management! Forced tapering has been refuted that unilaterally being taken off pts medical management causes destabilization of pts yet it’s happening & I continues to occur across the nation! I listened to the last meeting & one of the depraved heart murderers, yes l.call them that bc there are no unintended consequences they know they will kill these ppl due to suicide from pain & destabilzation! Stated by one of the representatives from HERC “ we hope to set a precedent for the whole nation”! Thank you for fighting for the chronic pain community. We are indebted to you for your work. I talk to a number of people every day that are considering suicide. Those conversations are what drive me to fight for the those that cannot advocate for themselves. As a chronic pain patient, I feel we are all in a precarious position, but you work brings me some hope. I thank you for everything you are doing to bring some sanity to the discussion. Thank you! Thank you for your advocacy, wisdom, sharing your professional opinion, facts, & listening us. I appreciate & respect your candor & guidance. We need more of you, that’s for certain! I believe you are among the few sane HCP left! To u for yur voice! Thank you, Dr. Nadeau, for bringing a sound voice of sanity to a fabricated world of injustice towards the chronic and intractable pain patient. Your response is brilliantly straightforward, yet eloquently simple for anyone to understand as it provides clear, precise and evidence based facts backed by indisputable scientific references. breath of fresh air amongst the smoldering, festering flames of assumptions, PROPaganda through manufactured data to support, among others, a political agenda that will destroy, and has destroyed, the lives of so many living with the unbearable pain of a chronic illness, and that of those who love us as they helplessly watch our health, our happiness, our quality of life decline from untreated and undertreated pain. Thank you for your emphasis on the overdose crisis and substance abuse disorder as being one in the streets, not in the clinic, and the essential strategies to address this. Physicians must be able to treat pain without fear of THEIR livelihoods, THEIR quality of life, and that of their families, being stripped from them should they display compassion, human decency, respect in the knowledge for how pain affects their patients (not to mention the courage in the present climate) to write a prescription that allows patient’s to be participants in their own lives. These physicians are increasingly aware of the risks involved with treating individuals as such and increasingly difficult to find. Respect for the physician’s wisdom must be restored to allow for the individualized treatment that complex, incurable diseases requires rather than the nonsensical, one size fits all approach. Thank you for recognizing this and offering real life solutions to all involved in the crisis of pain. Your voice is much appreciated. I agree with Rhonda! Thank you for an intelligent, straightforward fact report !!! This has gotten out of hand by certain parties and much has been stripped from the physician who cares for the chronic pain patient! I hope this goes further and they listen! Thank you for this well researched., comprehensive summary of the current state of affairs. As a retired clinical researcher and chronic pain sufferer, I feel qualified to observe both sides of the coun. Sadly chronic pain patients are treated as drug-seedrug-criminals rather than human beings in a great deal of pain and distress. Although I have not been forcibly tapered off my analgesics yet am always anxious when I go to see my pain management physician. Although my condition has worsened each appointment, I’m always made to feel that I must beg to have my prescription, which is BELOW the 90mme, renewed. And if I work up the courage to ask that the dosage be increase, i am quickly and flatly refused. My physician justifies this by saying she doesnt want me to develop a pre-surgical tolersnce. Of course I understand this but I’ve been in severe pain for 2 YEARS with fibromyalgia, severe spinal stenosis and severe disc degeneration/slippage.. With no surgical date in sight due to back logged O.R.’s here in Canada ,its barbaric to insist that I continue with inadequate pain management..
We would not treat the family pet the way we are treating chronic pain patients! It is my hope that doctors and govt aencies will return to their senses and treat patients with compassion and respect. “Do no harm” should encompass reducing human suffering by whatever means are readily available, safe, effective and appropriate. I feel blessed there are some Drs like yourself willing to step out of the shadows to show support for pain patients mistreated by the governments approach to opioid and fentanyl crisis despite the risks of becoming a visiable lightning rod for the DEA. The control pharmacist and insurance co have in being able to deny me filling a medication leaves me in constant state of concern and worry. There is never a guarantee the Rx will have it in stock. I can request refill 2 days before running out but if that falls on a Thursday, I will need to wait till tues to get Rx. They always suggest I go to another store but know I’ve signed a pain contract to fill in that pharmacy. I am ashamed of my medical conditions each time I’m treated as an addict although I take this Rx only as prescribed. It feels like no one really cares anymore since this has gone on for so long and changes haven’t been made. I’m filled with shame and guilt I have not gotten better despite exhausting all options and spending a fortune on my health. Punishing the people that this medicine was intended even though under careful care of dr because the actions of addicts needs to stop. I can’t imagine the situation of others that can’t find relief, stopped cold turkey and stand in solidarity. Thank you for speaking out. Pain is subjective and therefore it is what the person says it is. Not what the politicians say it is. No one besides that persons doctor should be determining whether a person should be on pain medication based on their assessment. They should not be removed from medication when it helps them to function in daily activities and have some quality to their life. Many have been stable on one dose for months, years or decades.which allows them to work, and have a meaningful life. Statistics show that less than 1% of chronic pain patients become addicted. To try to stop future addiction by removing access to legitmate patients has failed already. The number of prescriptions written for opiates has dropped substantially while addiction and overdose deaths continue to rise due to illegal drugs entering the country, not from prescriptions. The weakest and most ill patients are being punished and are collateral damage in the war on drugs. Yes! Thank you. I’m a retired nurse and patient advocate. My granddaughter being tortured by this reduction in Oklahoma and my daughter! Horrible, so immoral it makes me sick. Hello, Thank You Dr.Nadeau for your valuable Correct Data on the Opiod Guidelines that were intensionally weaponized to force taper millions of wounded veterans and Intractable Chronic Pain Patients off their Opiod Medication.Millions of us Disabled CPP,S & Veterans knew since the 2016 secret meeting with the Biased Panel members including Kolondy who wrote the fictitious Guidelines,that we were going to suffer.With all the correct data on OD Deaths from Heroin and Fentynal provided by Dr Lewhern,Dr Bloom and the AMA members this data is ignored.We now have a new biased panel provided by HHS with only one Pain Patient/Advocate Cindy Steinberg of course Kolondy,s father in law on the panel,how convenient HHS.We have lost thousands to Suicide from being abandoned or severely under prescribed their Opiod Medication And 50-100 million Disabled Intractable Chronic Pain Patients suffering tremendous pain from being severely under prescribed their pain medications.Since 2016 the CDC are dragging their feet and the DEA are Bounty Hunting Pain Specialists while we suffer and die.Millions of us were Robbed of our Quality of Life in 2016 because of the biased fictitious Opiod Guidelines and now we have a Suicide Epedemic of our Disabled Veterans And Intractable Chronic Pain Patients.This is the worst Human Rights Violation in this so called civilized country,s history.All for money,homes lost,suicides,families destroyed,jobs lost,all for what?Opiod Medication Prescriptions cut dramatically and the Suicides And OD Deaths from the real culprit Heroin and Fentynal at the highest level ever.Great job CDC. There is NO one size fits all. We have one life and we deserve quality of life. That means some people require opioids in conjunction with, massage, acupuncture, exercise, yoga. You are punishing the wrong people. Stop going after pain patients, for the heroin problem! I’ve done investigating on my own, as a Physician Assistant and a person suffering from progressive adhesive arachnoiditis. I couldn’t agree more, the unintended consequences of PROP’s and CDC Guidelines are barbaric. Blaming primary care clinicians for overprescribing opioids forced many to stop opioid prescribing all together without a plan to address the fact that Pain Management clinics no longer offer medication management. Elderly, rural, poor and disabled persons may not even have access to an academic medical center. Rest assured that in 20 years, after many lives’ lost by desperate patients, this will become known as one of the most inhumane, deplorable actions by a government on its’ people. I tell where this mess has brought my husband and I both chronic pain people. The hubs was going through withdrawals every month so he supplements part time with heroin. He was a heroin user for 20 yrs, got off and is now back on. What else can he do? Injections didn’t work and he takes 2 blood thinners now so no one will touch him with other procedures. But either will they bump up what little he gets. They give you no choice but to go to the street for relief. He’s 62 and may not have many years left. I support his choice of pain relief. The Oregon regulatory scheme unlawfully discriminates against disabled people, contrary to the Americans With Disabilities Act. It also violates, in those patients who suffer Sickle Cell Disease, the Civil Rights Act. Morphine is the only known drug that reverses the blood dysfunction in Sickle Cell Disease attacks. Commanding these patients to smoke marijuana or engage in mindfulness meditation while they lose oxygenation of their blood cells can be lethal. This regulation will compel African Americans who suffer Sickle Cell Disease to leave Oregon, in order to survive. That puts Oregon in violation of the Civil Rights Act, and the United Nations Genocide Treaty. Oregon officials would do well to educate themselves why their proposed rules constitute crimes against humanity, and stop these actions before they start. If Oregon officials do not learn, they must face court action to remove them from power. Amen! The litigation is coming and it will be devastating to the state. No one wants that, but the surrogates placed in positions of power by the current governor of Oregon are going to bring financial ruin to the state while they simultaneously torture thousands of innocent residents and shamelessly harass physicians who are simply trying to treat their patients. I’ve never witnessed a bigger public policy debacle in my lifetime. Thank you Dr. Nadeau’s for a brilliantly written article illustrating the many fabrications being presented by a lot of Opioid-phobics who know very little about chronic or intractable pain. I have to mention my story again to prove the inaccuracies being presented. I have CRPS Complex Regional Pain Syndrome caused by a crush injury to both legs and feet 19 years ago. It’s the highest rated pain on the McGill Pain Scale above amputation cancer and childbirth. I have been on a high dose of Fentanyl for 19 years for the nerve damage pain and it works miracles! I have only had one dose escalation in 19 years, so that blows a hold in that myth. It does nothing for my excruciating back and hip pain. The doctors do not know why. So that is the problem that goes unanswered. I now use Aleve sometimes for that type of inflammation pain. You are amazing in your discription of pain. I hope my story helps some one! Thank you for your continued work in supporting patients who are suffering. I pray that calm and intelligent heads will prevail. Thank you Dr. Fudin so much for hosting Dr. Nadeau’s response to the OR Tapering Guidance and Tools. I greatly appreciate all your efforts and collaboration in addressing patient pain care. Your blog is excellent, per usual. Special thanks to Dr. Nadeau for his excellent work in providing a expert response to PROP’s latest plan of action. I am extremely grateful to have such knowledgeable and thoughtful members of the medical community bringing pause to the typical opioid epidemic narrative regarding prescribing for chronic pain. Thank you so much for hosting Dr. Nadeau’s response to the OR Tapering Guidance and Tools. I greatly appreciate all your efforts and collaboration in addressing patient pain care. Your blog is excellent, per usual. Special thanks to Dr. Nadeau for his excellent work in providing a expert response to PROP’s latest plan of action. I am extremely grateful to have such knowledgeable and thoughtful members of the medical community bringing pause to the typical opioid epidemic narrative regarding prescribing for chronic pain. Thank you Dr Nadeau, both for your carefully assembled research and for including my work on the lack of relationship between opioid prescribing and mortality as one of your references. Taken in combination with other recent articles and letters coming into public view, this paper demonstrates that there is NEVER a justification for mandated thresholds of presumed risk by dose level such as proclaimed by the 2016 CDC Guidelines. The variability of minimum therapeutic dose levels between individuals and between illnesses is too large to generalize any one-size-fits-all safety criterion. This observation also extends to recent HHS Centers for Medicare and Medicaid rule changes in Medicare Part D. These changes authorize insurance providers to impose soft and hard “safety” edits at 90 MMEDD and 200 MMEDD on pharmacists serving patients whose quality of life is maintained by opioid therapy. The insurers would become the sole authorities on availability of high dose opioid therapy under these plans — in essence overruling the judgment of doctors actually treating patients. We must keep on pressing. I encourage both patients and medical professionals to comment on the pending recommendations of the HHS Task Force for Pain Management Best Practice. Comments due by March 30. Thank you for caring about us in the pain community. So few speak up for us. I realize that those who advocate for us (the chronic pain community) , don’t receive the recognition they deserve. I personally thank you and all those behind the scenes. Our wins are few and far between. As a chronic pain patient I do know how dark and bleak our immediate futures are. We do have a choice; we can sit back and lose our quality-of-life (in some cases our lives), or we can stand together until we achieve change. The government, in my view, has only contributed to the biases. In our legal system one is innocent until proven guilty. As a pain patient I feel saddened that I’m not given that same consideration. We are labeled as addicts and abusers. As if the general population makes any differential. I hope that pain patients and their families (on the patient’s behalf), will unite into an audible voice that eventually will be heard, and so loudly that we cannot be ignored. Thank you, Dr. Nadeau, for helping to bring the reality of the opioid “crisis” towards the center. The absolute hysteria has made experts out more people that either know nothing about it or are driven by political or economic agendas or both. The work of people like you and Dr. Red Lawhern provides hope for people like me who suffer every minute of every day with real, unimaginable pain primarily from adhesive arachnoiditis. Thank you! Dr. Nadeau’s impeccable research demonstrates the real issues of risks/benefits/harms vs, benefits of opioids in perspective for patients with chronic and intractable pain. He correctly a sense that, while they do have some side effects, as do most medications, for most chronic pain patients, the benefit widely outweighs the risk. Regardless, decisions to initiate, maintain, or discontinue opioids should be made between the patient and clinician, and not by government agencies nor propaganda purchased by millionaires. Also of note, the Oregon Pain Guidance tapering recommendations are NOT from an official government agency, and they have no regulatory power. Sadly, they have structured their website to appear as if it is an official organization, thus potentially intimidating providers into forcing opioid tapers to minimize perceived professional risks. 3. VA/DOD Opioid Prescribing Guidelines. Regardless of the issues one may have with misinterpretation and misapplication of these guidelines, none of them call for unilateral, forced, non-consensual tapering nor suggest that all patients be tapered. We need to strongly resist any influence that OPG may have in the publications of these Tapering Guidelines. The materials they use to build their case are misapplied, their references do not support their conclusions, and it’s clear that they are instead, largely driven by ideological concerns and not evidence-based best practices. Thank you ever so much Dr. Nadeau for contributing to a better understanding of chronic pain and opioid therapy. I’ve been hounded by paranoia and seeming irrationality by too many medical professionals in the last few years. It doesn’t reconcile with my experiences with opioid therapy. As you point out, few chronic pain patients overdose. Your work will lead to better science about chronic pain and the separate problem of addiction, abuse and overdosing.